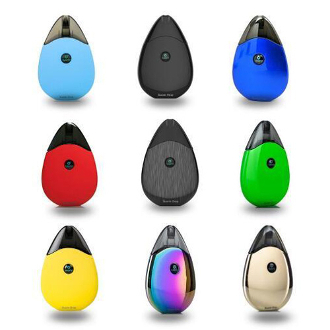 The Suorin Drop is the latest All-In-One pod/cartridge system to hit the market. Don't be fooled, this little device packs a punch. Though small in stature, you will achieve the vaping experience you have been looking for. These palm-sized devices are light and compact, as well as have a button-less design. To experience tasty vapor, simply inhale. The Pods that were made specifically for the Suorin Drop have a 2ml e-liquid capacity and achieve optimal performance when using 70% VG / 30% PG E-Liquid. The built-in battery has a 310mah capacity and the device has a maximum wattage range of 13W. To charge, use the designated included charger and the micro USB port found on the device.